The kids and I love to embrace the new seasons with crafting. 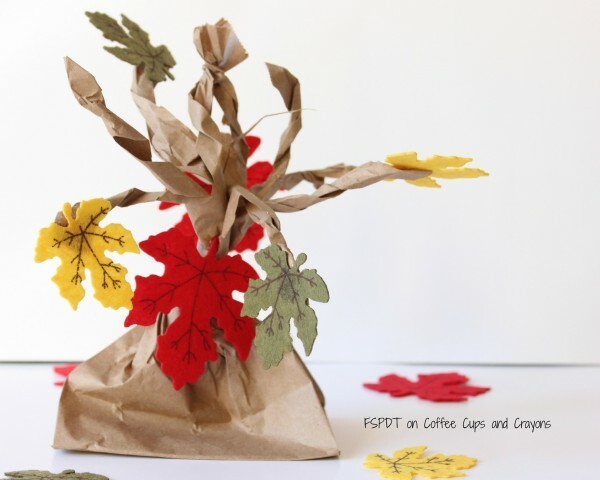 With Fall in full swing we set out to create a fun and pretty fall craft. 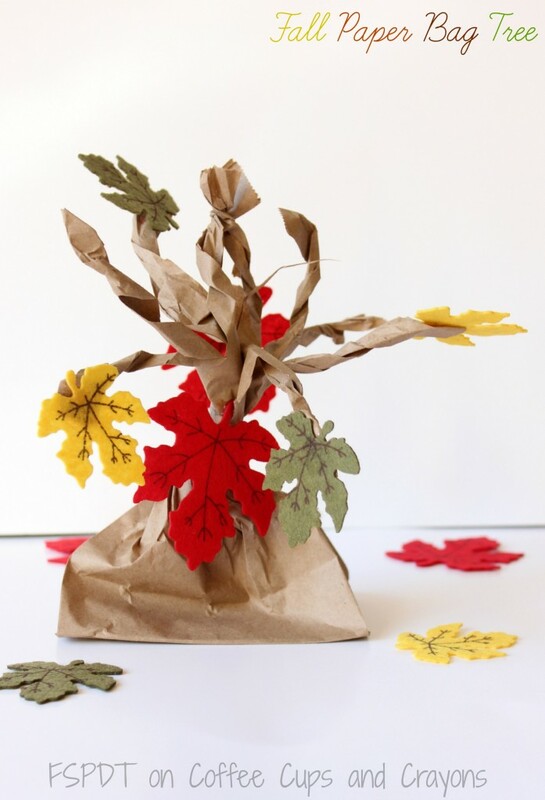 The Fall Paper Bag Tree was perfect for us to make. Easy to make and a simple decoration for the house as well. The kids are so proud to have their trees sitting out as decorations. They can not wait for the family to see them at Thanksgiving lunch in a few weeks. fun felt leaves we got from the store- you could make your own from felt or paper to use. 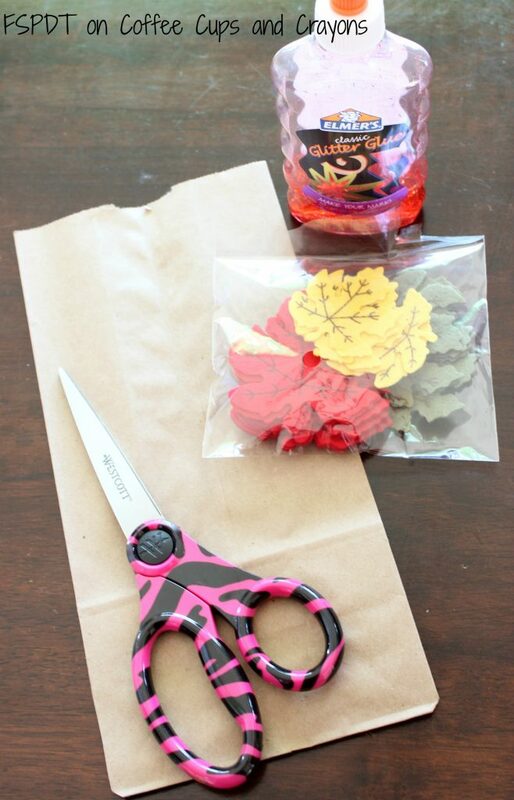 Take the paper bag and cut strips down about mid ways. Then twist the center of the bag. Last twist all the cut pieces of bag to make the sticks/branches. I made the “tree” part for my kids. I then gave them the leaves and glue and let them add them to their fall trees. They left some of the branches empty because in the fall the leaves fall off the trees. As they fall, only a few remain. 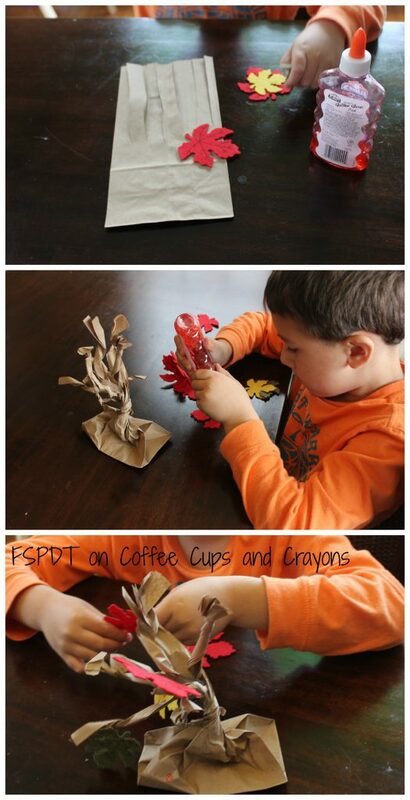 Fun and easy Fall Paper Bag Tree Craft for the kids. I love that this was easy to set up and the kids enjoyed making them. They also love helping to make simple decorations for the house each season. We hope you can enjoy this too. Hi! I am Jaime, mama to three high energy boys. With three boys, life never slows down, but I wouldn't have it any other way! We love creating, learning, and crafting together and we can turn anything into an adventure. I enjoy sharing our activities and crafts on my blog Frogs & Snails & Puppy Dog Tail.